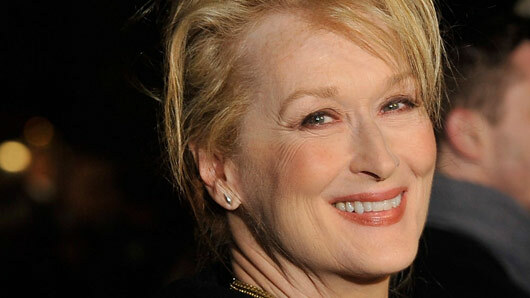 Star Wars director J.J. Abrams is to join forces with the one and only Meryl Streep for a new television series. The Hollywood stars are to adapt Nathan Hill’s novel The Nix for Warner Bros. The Nix is the story of Samuel Andresen, a college professor and writer, whose long-absent mother suddenly reenters his life after committing a crime that places her at the forefront of media coverage. This woman isn’t the mother Andresen knew, but how much did he ever really know about her – and himself? Streep will play Faye, Andresen’s mum, in the series and J.J. Abrams will direct at least a few episodes of the series, according to Deadline. Most recently, Streep appeared in the titular role in Florence Foster Jenkins, where she portrayed a rich heiress who became an appalling opera singer. Her most recent television job was back in 2014, offering her voice as First Lady Eleanor Roosevelt in television documentary The Roosevelts: An Intimate History. Abrams has, of course, recently rebooted the Star Wars franchise with Star Wars: The Force Awakens. His television work includes the recent cold war time-travel drama 11.22.63, as well as the upcoming Westworld. No channel has picked up The Nix yet, but with the names associated with the project we’re sure it won’t be long!